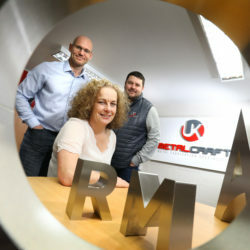 A County Durham engineering firm which specialises in fashioning ornate and unusual steelwork is aiming to take its turnover past the £2m mark with the help of a new investment from the North East Small Loan Fund Supported By The European Regional Development Fund. Steelcraft designs, manufactures and installs a comprehensive range of architectural metalwork, including balconies, balustrades, stainless and secondary steelwork, street furniture and industrial fabrications. 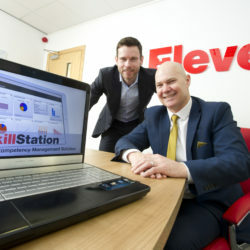 The Chester-le-Street-based firm is celebrating its 30th anniversary this year by embarking on an on- and offline business development drive which will help it win new clients both at home and overseas. Steelcraft secured the £50,000 Small Loan Fund investment through regional fund management firm NEL Fund Managers as part of funding its expansion plans, which include increasing its turnover from £1.8m to over £2m by 2020. It has also launched a full service e-commerce website for its Forjj balcony brand after participating in the Digital Drive County Durham programme, and is aiming to especially increase its presence within London and the South East. Having initially focused on manufacturing and installing bespoke security metalwork for clients across the North East, Steelcraft gradually widened its product portfolio and client base over the years and now employs a 24-strong team at its headquarters on the Drum Industrial Estate. 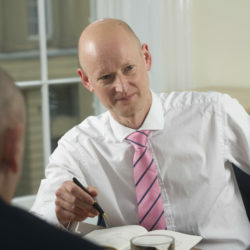 Well-known clients include Bellway Homes, Taylor Wimpey, Sir Robert McAlpine, The Esh Group, Galliford Try and Engie. 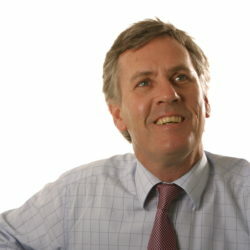 Matthew Rodgers, managing director at Steelcraft, says: “While we can fulfil most aspects of steelwork design and fabrication, we have an especially strong reputation in catering for uncommon shapes and unusual designs, and we’re now looking to build on this with new clients and in new markets. “The Digital Drive County Durham programme gave us a lot of insights into how we use digital technologies to support our expansion plans which we’re now building on with our enhanced online presence. “We’re confident of making significant commercial progress through the year to come and beyond, and hope to see both our turnover and our team growing this year.